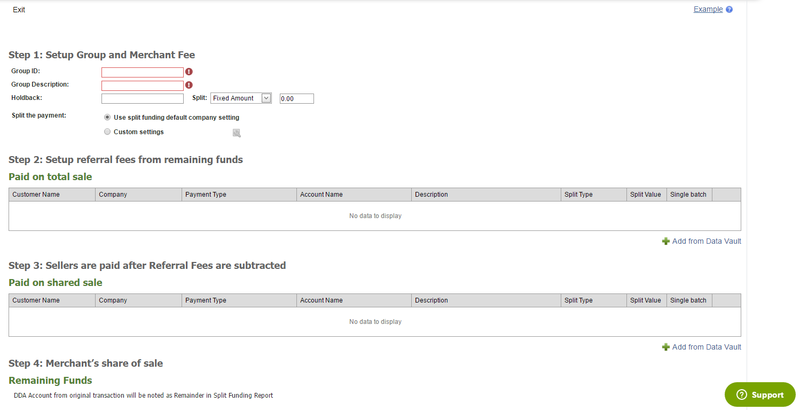 Split Funding functionality is available only if Split Funding module is assigned to the company. New menu item is available on Data Vault > Split Funding. In Data Vault > Split Funding > New Group user is able to create New Split Funding Group. 1. System holds amount entered to the ‘Holdback’ field. 4. System holds remaining amount on the merchant account from original sale transaction. » Single batch - if Single batch checkbox is marked for a customer then the system groups all credits and debits for the deposit account into a single transfer each day. On the Data Vault > Split Funding > Groups page all groups are available. Nex filters are available there: Group ID, Description and Created Date. Here user is able to Edit or Delete any group. On the Data Vault > Split Funding > Settings page user is able to set split settings. » Split the payment - if ‘The same day as settlement’ Split payment option is checked, system splits payment to credits on the next night after the settlement. Also user is able to split payments several days after the settlement. 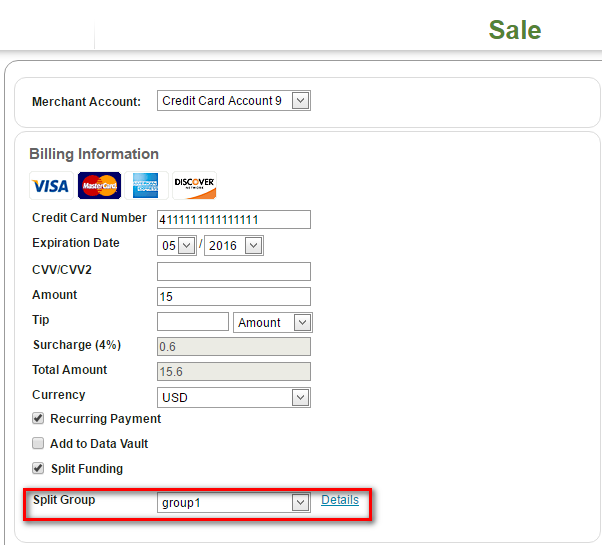 » Split payments behaviour - if 'Single batch for split payment' checkbox is marked, then while creating new Split group 'Single batch' checkbox will be marked by default for added customer. » Notifications - if 'Send Split Failed Notification' checkbox is marked, system sends the notification to specified email address every time split payment is failed. 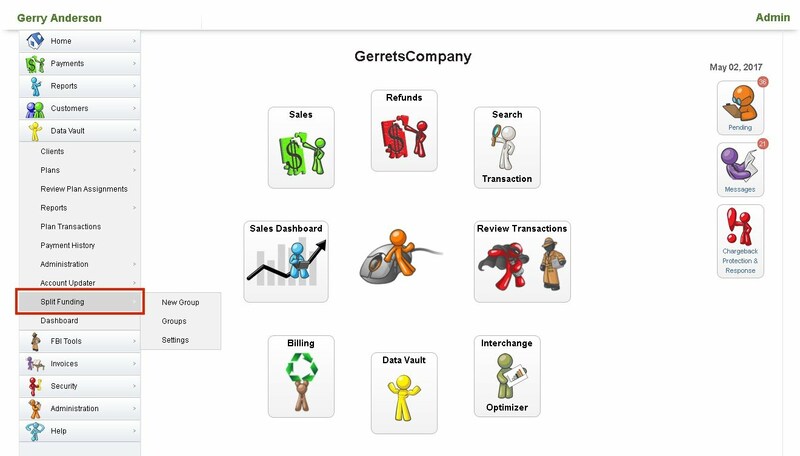 User selects Split Group and processes Sale transaction. Then after settlement system splits this transaction to several Credits in competence with group settings.